The aim of the study was to assess the cost-effectiveness of screening for gestational diabetes mellitus (GDM) in primary and secondary care settings, compared with a no-screening option, in the Republic of Ireland. The analysis was based on a decision-tree model of alternative screening strategies in primary and secondary care settings. It synthesised data generated from a randomised controlled trial (screening uptake) and from the literature. Costs included those relating to GDM screening and treatment, and the care of adverse outcomes. Effects were assessed in terms of quality-adjusted life years (QALYs). The impact of the parameter uncertainty was assessed in a range of sensitivity analyses. Screening in either setting was found to be superior to no screening, i.e. it provided for QALY gains and cost savings. Screening in secondary care was found to be superior to screening in primary care, providing for modest QALY gains of 0.0006 and a saving of €21.43 per screened case. The conclusion held with high certainty across the range of ceiling ratios from zero to €100,000 per QALY and across a plausible range of input parameters. The results of this study demonstrate that implementation of universal screening is cost-effective. This is an argument in favour of introducing a properly designed and funded national programme of screening for GDM, although affordability remains to be assessed. In the current environment, screening for GDM in secondary care settings appears to be the better solution in consideration of cost-effectiveness. The online version of this article (doi: 10.1007/s00125-015-3824-0) contains peer-reviewed but unedited supplementary material, which is available to authorised users. Gestational diabetes mellitus (GDM) is defined as any degree of glucose intolerance with onset or first recognition during pregnancy  and is associated with maternal and perinatal complications, as well as additional healthcare resource utilisation and costs [2, 3, 4, 5, 6]. While international GDM prevalence estimates vary considerably, partly due to differences in diagnostic criteria , it is widely recognised that GDM prevalence is rising worldwide [1, 8], leading to increasing pressures being placed on already constrained healthcare budgets. As a result, and given established evidence that treatment of GDM substantially reduces the risk of maternal, perinatal and neonatal complications [9, 10, 11, 12], screening strategies to effectively identify and treat GDM are being implemented in many countries. A number of economic evaluations based on decision modelling techniques have demonstrated the cost-effectiveness of various screening strategies, in jurisdictions including the USA, UK, India and Israel [13, 14, 15, 16, 17]. Despite modest expected average effects on delivery outcomes , the relatively low cost of screening and subsequent treatment provides for favourable incremental cost-effectiveness of these screening strategies given treatment compliance after diagnosis. Notably, however, in all of the mentioned modelling studies the issue of screening uptake was not considered directly. In Ireland, GDM diagnosed using the criteria of the International Association of the Diabetes and Pregnancy Study Groups (IADPSG) affects 12.4% of all pregnancies . No national GDM screening programme is currently in operation, and existing practice may be best characterised as opportunistic in nature. In 2007, the Atlantic Diabetes in Pregnancy (ATLANTIC DIP) project was established in five hospital settings along the Irish Atlantic seaboard, promoting a strategy to offer all pregnant women universal screening for GDM in a hospital setting . Screening involved a 2 h OGTT with a 75 g glucose load. Following low screening uptake, however, it was considered that providing screening for GDM in the primary care setting, which offers wider geographical access to patients, might yield superior screening uptake . A randomised controlled trial was conducted to test this hypothesis, but, contrary to expectations, a smaller uptake was observed in the primary care setting relative to the secondary care setting: 52.69% vs 89.23% as assessed on a ‘per protocol’ basis . Partly this might be attributed to women’s perceptions of higher quality care, superior expertise and comprehensive antenatal care in the hospital setting , and partly to considerations of additional workload for general practitioners (GPs) . This notwithstanding, a further question of interest is that of the relative cost-effectiveness of GDM screening in primary vs secondary care. We undertook an economic evaluation of screening for GDM in Ireland based on a decision analytical model. We considered the alternative strategies of screening in primary and secondary care, and compared these to the no-screening alternative, as well as to each other. In the decision model, alternative screening strategies assumed different uptake rates, which consequently led to different proportions of GDM cases being detected and treated. We incorporated data from a range of sources: Irish-specific data on pregnancy outcomes with and without GDM, and international data on the effect of GDM treatment on such outcomes. In terms of costs, the model estimated those relating to GDM screening, GDM treatment and the management of adverse outcomes. In terms of effectiveness, the model estimated quality-adjusted life years (QALYs). Uncertainty in cost per QALY estimate was examined in the model using probabilistic sensitivity analyses. In the base case analysis, the alternative screening strategies were modelled on the uptake rates observed in the randomised controlled trial . Other scenarios were assessed in one- and two-way sensitivity analyses, varying uptake rates and other key parameters across their plausible ranges. For the economic evaluation, we followed the Health Information and Quality Authority (HIQA) guidelines for the Republic of Ireland . These informed the adoption of the healthcare perspective (publicly funded system) with respect to costing (in 2013 euro prices), the cost–utility analysis framework for evaluation (QALY as the measure of effect), and the use of a 5% discount rate in the base case. The alternative options considered in the model were: (1) screening at a GP practice (primary care); and (2) hospital-based screening (secondary care). Given that little is known of the scale of opportunistic screening for GDM currently in place in Ireland, we considered a no-screening option as a comparator in order to explore the cost-effectiveness in the full continuum of screening uptake. Screening was based on a 75 g OGTT assumed to have 100% sensitivity and specificity, as this is the reference test . 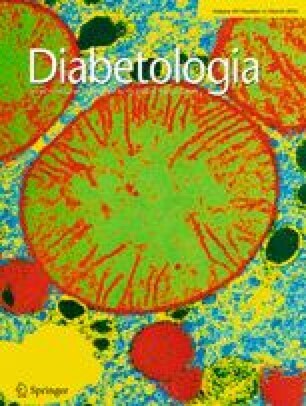 It was assumed that diagnosis would be followed by treatment in the form of dietary advice and insulin therapy if necessary. The evaluation was based on the analytical decision-tree model built for this study (Fig. 1). The model structure was informed by similar models from other settings [13, 14, 15, 16, 17, 18] and by observational data from the large-scale ATLANTIC DIP study conducted in the west of Ireland  on the risks of maternal, neonatal and perinatal outcomes associated with GDM in the Irish context. Complications entered the model if their risks had been shown to be altered by GDM or its treatment, and if they were expected to have cost or quality-of-life implications [10, 11]. The model structure, presented and described in Fig. 1, was validated by a panel of clinical experts specialising in endocrinology and obstetrics. It attempted to capture long-term (lifetime) effects of the complications. The parameters used to populate the model are presented in the electronic supplementary material (ESM Table 1) and are described below. As discussed, we built upon a previously conducted trial reporting 52.69% uptake in the primary care setting and 89.23% in the secondary care setting . The treatment uptake after GDM detection was set to be 90% in both primary and secondary care groups for the base case . The risk of GDM was set to be 12.36% in the base case, as reported in the ATLANTIC DIP study (680 out of 5,500 pregnancies) . The baseline risks of complications in the group with normal glucose tolerance and with treated GDM were based on the data from the ATLANTIC DIP study , deemed to be the best estimates for the Irish population. In order to obtain the risks that would have occurred in the group with untreated GDM, we used the results of the multicentre randomised controlled trial from the USA reported by Landon et al , due to the fact that this study applied criteria for diagnosis of mild GDM that are close to the IADPSG criteria used in our study. Available systematic reviews [10, 11], both incorporating the study by Landon et al , combine evidence for GDM diagnosed on various criteria, but still report very similar treatment effects. The costs of screening and contacting women in primary and secondary care settings were assessed via micro-costing in compliance with HIQA guidelines (ESM Table 2) . The direct costs of screening in primary and secondary care were not different, due to a similar level of staff involvement and very similar procedures in each setting. However, we anticipated higher overheads in the secondary care setting. Therefore, a secondary to primary care cost ratio of 1.174 was applied (an average cost of an outpatient procedure in hospital to the cost of an average 30 min primary care procedure in the UK, according to Personal Social Services Research Unit data ). Thus, primary care screening was assigned a baseline cost estimate of €35 and secondary care screening €41.09 in the base case. Other cost parameters that entered the model were taken from the published literature, inflated to 2013 prices using country consumer price index data and transferred to Ireland using purchasing power parity indexes . The cost of treating GDM in Ireland was previously assessed by Gillespie et al  and was €506.36 in 2014 prices. Other Irish-specific costs were assigned to the cost of delivery (vaginal delivery €2,588.13, Caesarean delivery €6,287.64) and stay in the neonatal intensive care unit (NICU) for term and premature babies: €4,102.87 and €17,086.28, respectively (cost of 1 day €899.75). These figures were previously reported by Gillespie et al  based on Casemix data (Department of Health and Children) . The cost of hypertensive disorders in pregnancy was assessed to be €7,840: an average of the incremental estimates provided by the two studies from the USA and Israel [27, 28]. Other studies providing non-incremental and, consequently, higher estimates were disregarded [29, 30]. The incremental cost of a stillbirth (including fetal demise in utero), compared with that of a live birth, was assessed to be €2,055, based on a study from the UK providing the most comprehensive costing . The incremental costs of a premature baby were estimated to be €2,064, based on a UK study, after subtracting neonatal and delivery costs to avoid double-counting . Finally, the cost of brachial plexus injury in a newborn was assigned €14,540, based on the weighted average estimates from the USA of the lifetime cost for moderate to severe cases . The effectiveness of screening was measured in QALYs discounted over the lifetime. Maternal life expectancy was set at 51 years after delivery, the baby’s life expectancy was set at 81 years , and these were not varied. The baseline quality of life with no complications was set as 1 for both mother and baby. We have not identified any evidence of a significant impact of hypertensive disorders in pregnancy on quality of life. Stillbirth was set to have a lifetime impact on the mother, reducing quality of life to 0.92 . The QALYs over the full life expectancy of a baby were lost due to stillbirth. Premature birth was set to reduce maternal quality of life by 0.0452 to 0.9548 in the first year only , and the baby’s quality of life by 0.04 to 0.96 for the whole lifetime , although evidence for the latter is conflicting. There was no evidence of a permanent effect of brachial plexus injury on maternal quality of life, but the baby’s quality of life was reduced to 0.6 for the full lifetime . The base case, i.e. the expected case with the values of the parameters that are most likely to occur, was assessed in a probabilistic manner. This implied running 10,000 Monte Carlo simulations where the parameters were varied according to the assigned distributions (based on the parameters reported in the sources), as described in ESM Table 1: beta distributions for risks, log-normal for treatment effects, gamma for cost of health conditions. The cost parameters obtained from micro-costing were varied uniformly in a range between +/− 20% of the deterministic estimate, as per HIQA guidelines . Based on the simulated values of the incremental costs and effects, cost-effectiveness acceptability frontiers (CEAFs) were built to calculate the probability of the three screening options being cost-effective for willingness to pay (WTP) per QALY (or ceiling ratio) ranging from €0 to €100,000. This was followed by one-way sensitivity analyses of the four parameters: the discount rate varied from 0% to 6% according to HIQA recommendations ; the secondary to primary care cost ratio varied from 0.9 to 1.4 (1.17 being approximately in the middle); and the two treatment uptake rates varied from 80% to 100%. In order to work across different combinations of the uptake rates in secondary and primary care settings, a two-way sensitivity analysis was performed, changing the screening uptake in both settings across the plausible range between 40% and 100%. This was done deterministically, due to the high computational burden of probabilistic simulations. Probabilistic one-way sensitivity analysis was confined to the ratio of the cost of screening between secondary and primary care settings. Here the value of the parameter was varied from 0.9 to 1.4 (in steps of 0.005), and 200 simulations for each value were run (20,000 draws in total). The results of the base case and sensitivity analyses were compared with the ceiling ratio at the two HIQA recommended levels: €20,000 and €45,000 per QALY. The results of the base case (Table 1) demonstrate that both screening options are dominant (more effective and less costly) in comparison with no screening, and secondary care screening dominates over primary care screening. This can also be seen on the cost-effectiveness plane (Fig. 2a), where both options are in the dominant quadrant, and the mean and deterministic value for hospital screening options lies to the south-east of the GP screening option. The probability of the hospital option being dominant stays high on the whole region of the ceiling ratios from €0 to €100,000, as presented on the CEAF (Fig. 2b). In the HIQA recommended region between €20,000 and €45,000 per QALY, hospital-based screening has the highest probability of being cost-effective, i.e. between 86.5% and 87% depending on the threshold. The one-way sensitivity analyses for the four fixed input parameters, i.e. discount rate, hospital to GP practice-based cost of screen ratio and treatment uptake rates in both settings, based on deterministic estimations, did not alter the results: hospital-based screening yielded higher expected effects and lower expected costs than primary care screening throughout the plausible range of all input parameters. These results are not presented graphically, as the hospital-based alternative always dominated GP practice-based screening. Changing the secondary to primary cost of screen ratio between 0.9 and 1.4 (with 200 probabilistic runs for each value) did not change the results either, and screening in the secondary care setting remained the most cost-effective option: the likelihood of being cost-effective ranged from 94% to 79% for the ceiling ratio of €20,000 per QALY and from 89.5% to 82% for €45,000 per QALY (Fig. 3). The two-way sensitivity analysis in which the screening uptake rates were varied deterministically across the plausible range of 40% to 100% is presented in Fig. 4. It represents the difference in net monetary benefit (NMB) between hospital-based screening and GP practice-based screening for a ceiling ratio of €20,000 (Fig. 4a) and €45,000 (Fig. 4b). The border of zero NMB divides the set of uptake values into regions where primary care screening is most cost-effective (above the line) and where secondary care screening is most cost-effective (below the line). Thus, in the higher range of uptake (around 90%–100%), for hospital-based screening to remain cost-effective its screening uptake should exceed that in primary care by no less than 8.8 percentage points if the ceiling ratio is €20,000 per QALY, or by no less than 6.6 percentage points if the ceiling ratio is €45,000 per QALY. In the base case this difference is 36.5 percentage points. We found that screening for GDM is cost-effective compared with no screening, and this conclusion holds with high certainty across the whole range of plausible values of the parameters in our model. This is an argument in favour of a funded national programme of screening for GDM, although affordability remains to be assessed. This is in line with the international literature on the issue of cost-effectiveness of screening for GDM [13, 14, 15, 16, 17]. It should be noted that the expected QALY gains are modest, i.e. 0.0008–0.0014 per screened case; the results echo those in outcome modelling studies . But the gains are coupled with expected savings of up to €59 per screened case arising from better pregnancy outcomes, resulting in screening being superior to no screening. To our knowledge, the choice between primary and secondary care settings for the provision of screening for GDM has not previously been considered in terms of cost-effectiveness. The base case analysis as well as all the sensitivity analyses point to the secondary care setting being superior to the primary care setting (providing for modest QALY gains of 0.0006 and savings of €21.43 per case screened). This conclusion holds if the gap between the screening uptake rates is no less than 6.6–8.8 percentage points in favour of secondary care, depending on the ceiling ratio (it is 36.5 percentage points in the base case). These results are also complemented by the qualitative findings from the trial which suggest that, despite distance being an important factor in the decision to attend for screening by women who live far from the hospital, hospital settings are nevertheless preferred to general practice if the distance is equal, due to perception of higher quality care and greater familiarity with secondary care as a source of antenatal care provision . In addition, there were logistical and workload issues experienced among GPs in providing for expanded antenatal care that impacted adversely on this arm of the study, making hospital a more suitable place for screening provision . There is a possibility that GP practice-based screening could operate relatively more cost-effectively if screening in primary care were introduced at a national level. Moreover, if the intention-to-treat cohort are considered, in which the proportion of women who switched screening location in the trial are included, this yields 85.17% (333 out of 391) uptake in primary care and 91.54% (357 out of 390) in secondary care, with only a 6.4 percentage point difference between them (based on data from the trial ). However, such scenarios are unlikely to represent what would naturally happen in any screening programme on a national scale, given the artificial nature of the intention-to-treat analysis in this particular trial. First of all, switching providers implied different mechanisms and obstacles, and hence cost, that would not be the same under a national programme. Second, increasing uptake in primary care is unlikely to occur without additional incremental cost relative to secondary care, i.e. training and incentivising GP practices, especially given apparent supply shortage . This would shift the secondary to primary cost of screen ratio downwards, again bringing it into the region where hospital is a favoured alternative. Additionally, the issue of the quality of care perceptions among users favouring hospital might remain . That said, we did conduct a separate intention-to-treat analysis and the findings still favoured hospital-based screening (results available upon request). In short, it shows that, if such high uptake rates are considered in the primary and secondary locations, hospital-based screening would be cost-effective at the lower recommended ceiling ratio of €20,000 if the cost of screening in secondary care exceeds that in primary care by no more than 12%. Even if the cost excess stays as high as 17.4%, as in the base case (which is very unlikely), hospital-based screening still has an expected incremental cost-effectiveness ratio of €32,300 per QALY, which is still under the higher threshold of €45,000. In this study, a model-based approach was selected in order to synthesise available evidence on the risks associated with GDM and potential benefits from its treatment. The choice of the sources for this evidence is driven by the desire to make the model more realistic and reflective of the actual and hypothetical context of universal screening for GDM in the Republic of Ireland. Therefore, the baseline risks were selected from a large observational study conducted in Ireland  rather than from systematic reviews which are not specific to this context. The same logic informed the choice of treatment effect from the study conducted in the USA by Landon et al . In that study, mild GDM was diagnosed based on similar criteria to those of the IADPSG applied in our study. In any case, the treatment effects were not substantially different from those reported in the systematic reviews [10, 11]. On the other hand, the baseline risks in the study of Landon et al  differed substantially from those observed in Ireland. This might be explained by very different ethnic composition of the studied groups in the USA  from those observed in Ireland . This might also imply that in Ireland treatment effects would be different; however, we do not have any information on this, and the effects reported in the study of Landon et al  were taken as the best estimates. There are several limitations inherent to the model itself. Given the Irish-specific focus of the study, the model populated with the current parameters is limited to Ireland. Nonetheless, the model as a structure can be easily adjusted to other contexts if respective local parameters are provided. In this model, we did not consider long-term effects, such as type 2 diabetes in mothers and children, autistic disorders and cardiovascular diseases. There is a growing body of literature demonstrating associations of GDM or the baby being large for gestational age (the risk of which is also altered by GDM management) with those outcomes [39, 40, 41, 42, 43, 44, 45]. While GDM confers an increased risk of these conditions, we have not identified evidence to link the treatment of GDM to reduction of risk of these long-term outcomes. Their inclusion, however, might substantially change the results in favour of the screening option with the higher uptake. Having no screening rather than the current practice of opportunistic screening in hospital settings as a comparator might be seen as a limitation which might result in overestimation of screening cost-effectiveness. However, our model demonstrates that savings from averting the adverse outcomes of the detected cases outweigh the cost of screening. Thus, every additional screen, given the same (secondary care) or lower cost (primary care), is expected to bring net savings. By this logic, any screening programme increasing screening uptake over that in opportunistic practice is expected to be superior in terms of cost-effectiveness. Finally, the mixed strategies, where women are able to freely select screening in general practice or in hospital, or where different strategies are offered for different areas, were not directly considered in the model. This is due to the fact that it is impossible to predict what the rates of uptake would be, as current evidence comes from a trial which only considered compulsory randomisation to one location. Moreover, this would also require different arrangements for the administration of such a programme and steering women through the providers of their choice, which implies a different cost structure. Thus, consideration of the mixed strategies would require additional data. Screening for GDM in Ireland is currently conducted in an opportunistic manner and its extent varies considerably across regions. The results of this study demonstrate that implementation of universal screening is cost-effective. By increasing the detection and management of GDM, such screening will prevent certain cases of adverse maternal and perinatal outcomes, subsequently reducing health resource utilisation and gaining additional QALYs. In the current environment, screening for GDM in secondary care settings appears to be the better solution both out of consideration of cost-effectiveness and also due to familiarity of both staff and patients with the secondary care setting as a source of antenatal care. Improvements in proximity brought by screening in primary care may provide for only a modest improvement in screening uptake  and seem to be outweighed by public preference for the secondary care setting, and operational obstacles in primary care [20, 21]. Primary care is unlikely to perform substantially better relative to secondary care without additional cost  and thus is unlikely to become a cost-effective alternative under current conditions. The study was funded by the Health Research Board of Ireland, grant agreement no. ICE/2011/3. AD worked on data analysis, wrote the manuscript, and is a guarantor. PG and CON worked on data analysis and wrote the manuscript. AOD and MT participated in the design of the study, worked on data collection, participated in the discussion of the manuscript at each stage, reviewed/edited it, and provided information and explanation related to the medical part of the data. CON, BEM, LGG and FPD conceived and designed the study, revised all the interim drafts of the manuscript and reviewed/edited them. FPD participated in data analysis and reviewed/edited the manuscript at every stage. All authors saw and approved the final version of this article.